It's a good reminder to me of what's important in life. I'm truly missing out on the richness of life if I'm not paying attention to the love right in front of my face. I don't just mean romantic love either; I also mean love for my God, son, family and friends. Recently, I've had my head down and have been spending almost every free moment I have working. It's made me feel pretty selfish with my time and my attention. This post is sort of a stake in the ground to help get me looking outward as to what I can do for others rather than focusing so much inward as I have been. Also, happy love day to you (if you choose to celebrate, that is). In effort to give back—in a rather small way, admittedly—I've designed a desktop wallpaper for your computer that's available as a free download in case you enjoy the wise words above. 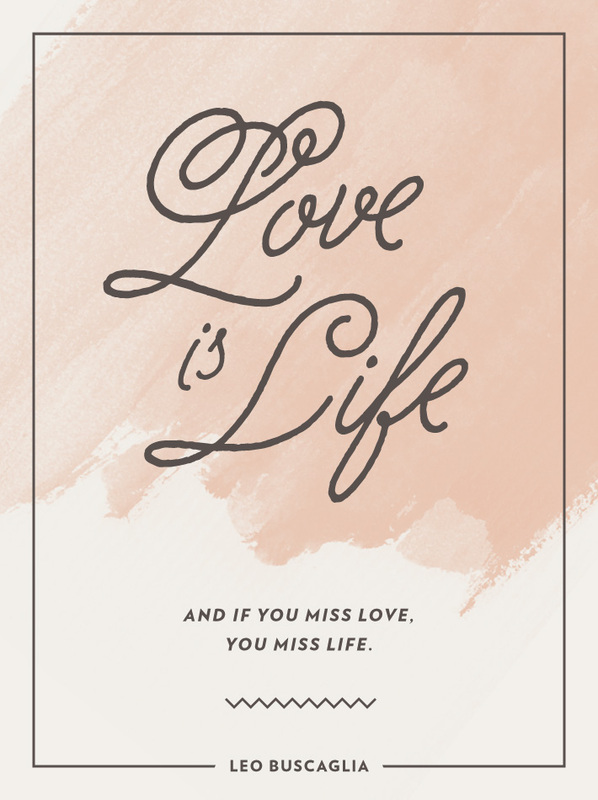 Download the Love is Life wallpaper here. It's rather large, so it should easily size to fit any screen. And, because I really need another inspirational quote in my life (please note the sarcasm), I recently purchased this Oh My Dear print for my office that I'm working on re-doing. I got it to be a reminder that creativity isn't just sitting in front of a screen or drawing in a sketch pad. It can be in how you love as well. Speaking of, I should probably remove myself from this computer and go wrap up another Valentine's gift. I've got a whole series of puns to write for today. What a lucky guy.